Joy in the Journey- Where is the Progress? Much of life can seem routine and even tedious. We may feel like we are on a merry-go-round, spinning quickly, only to repetitively find ourselves back where we started. But if we seek God and His will for us as we journey through life, He will give each of us a customized agenda that will allow improvement and perfection. Spiritual improvement is slow by mortal standards and requires patience and an eye of faith to appreciate this important growth for each of us. 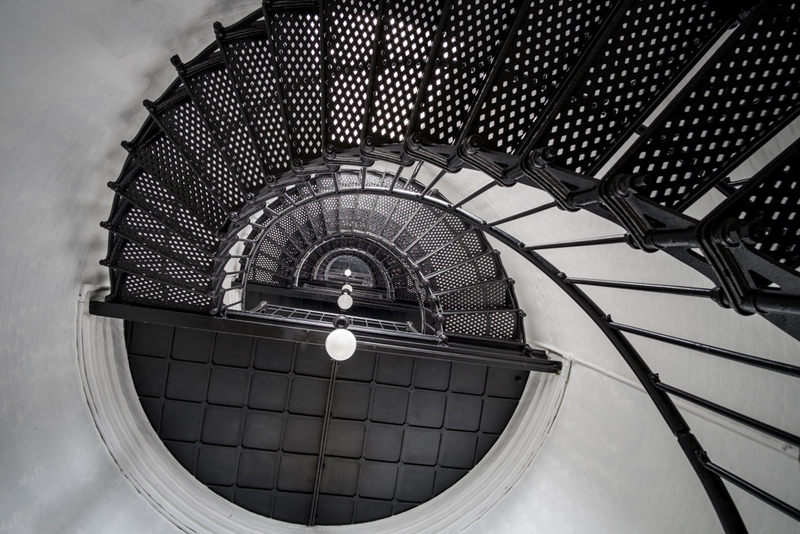 As with the assent of the Yaquina Head Lighthouse stairs, we do go around and around but we also slowly climb upward, incrementally becoming more Christlike in our character and in our actions.